So recently I mentioned that I was running a half marathon and that I had a TON of injuries. Well, today I finished my half marathon at a time of 2:43:45 with an injured achilles tendon, runners knee, and IT band syndrome on my right hip. I definitely didn't think I would finish it until someone mentioned to me about KT tape. 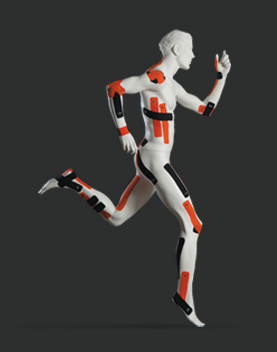 KT tape is an athletic tape that is used for muscle, ligament, and tendon pain relief and support. It is most commonly used for IT band syndrome, runner's knee, hamstring injuries, shin splints, carpal tunnel syndrome.. pretty much any injury you can think of, they found a way to tape it. There were a couple options at my local Target on the KT tape. There was regular cotton that was not precut and it was not waterproof. The PRO option was waterproof, in 20 pre-cut strips, and came in a large variety of colors for those who love a little pop in their wardrobe. (I picked pink and purple) The regular cotton cost on average $10-$12 while the PRO cost me $16-$20 depending on where I purchased it. So, I went on the website and ended up searching the many injuries I had on instructions to apply the tape correctly. The process was very very VERY simple. You cut, tear, apply, and smooth out. Its almost like applying a bandage. The relief was instant on my achilles tendon. I was completely unable to walk prior to application and after, I was running sprints up and down my driveway. The knee and hip application didn't feel much difference but I was definitely up to running a whole 13.1 miles with it on just in case. Race day came this morning and I was feeling immensely confident knowing that I had the extra strength and support that I needed from this athletic tape. The start whistle blew and I was off. However, .75 miles into the race, I felt the tape slowly peeling off and rolling down from my upper calf all the way down to my ankle. I was SUPER disappointed that something that cost so much and was "waterproof" could just not work. I tried to restick it on my leg but it was no use. I ran the rest of the race without any support on my foot. I was very heartbroken that I could not rely on this tape for when I am actually working out. Shocking to actually sweat during a work out right? I think that I will continue using this tape for support when I am not actually running but I am going to look for a different brand that will live up to the "waterproof" name. Has anyone found a good brand of athletic tape besides KT tape? If so, let me know down in the comments!